January 2016, 88 pages. Ingenuity, 11 E. Hubbard, Suite 200, Chicago Illinois 60611. (312) 583-7459. www.ingenuity-inc.org. Ingenuity’s third State of the Arts in Chicago Public Schools details the arts assets available to CPS students in the 2014-15 school year. 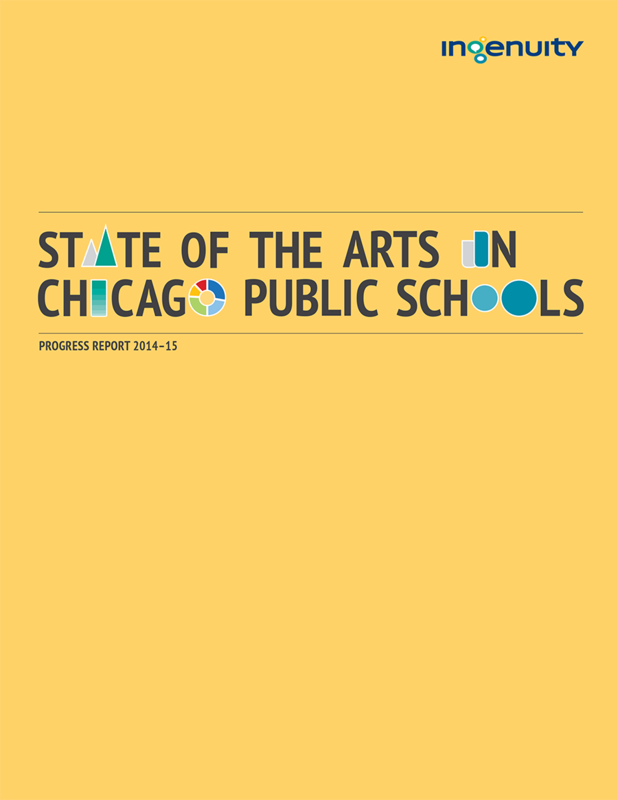 According to data provided by 571 schools representing 90% of CPS students, over 30,000 students have greater access to arts staffing and instruction than the previous school year. In addition to showing data specific to 2014-15 — with 360 CPS schools having participated in the Creative Schools Survey three years in a row — the report allows for clear comparisons to be drawn. Among these 360 schools, significant growth was found in Creative Schools Certification ratings, which are defined in the CPS Arts Education Plan as: Category 1 — Excelling; Category 2 — Strong; Category 3 — Developing; and Category 4 — Emerging. Nearly 72 percent were rated the two highest levels this past year, a 38 percent increase from Year 1. You can see the Baseline Report here.